If you’re looking for reliable garage door replacement services in White House, Tennessee, turn to the professionals at 31-W Insulation. We are your source for top-notch garage door products and expert installation services. When you choose 31-W Insulation for your garage door needs, you can expect our team to help you from start to finish, leaving you with beautiful, new garage door that will look great and function seamlessly for years to come. What’s more, you’ll have virtually limitless design options for your garage door, enabling you to customize the door to perfectly complement your home’s exterior. In addition to several attractive styles, such as carriage house and traditional doors, you’ll be able to pick from a wide range of colors, woodgrain finishes, and window panel options. With all of these options, your new garage door is sure to enhance the curb appeal of your home. 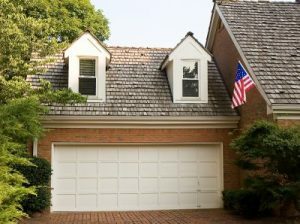 For more information on the garage door replacement services we offer in and around White House, TN, contact 31-W Insulation today.